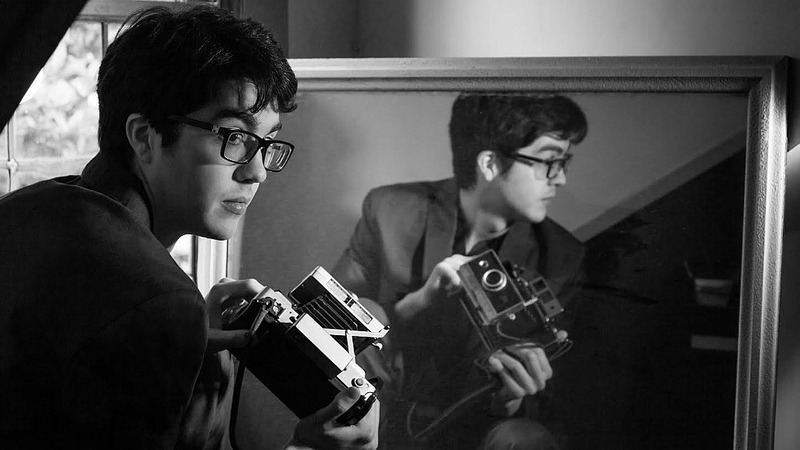 Car Seat Headrest's Will Toledo is just 24, but he's already released over a dozen albums via Bandcamp (including his two "official" full-length releases, 2016's ambitious Teens of Denial and a 2015 compilation, Teens of Style, both released on Matador). Toledo's sharp, intelligent lyrics often reflect on his generation and brim with humor, violence, self-reproach, and sadness. His drive to release a lot of music, with and without his bandmates, also points to a restless documentarian, capturing ephemeral moments of millennial angst. When FUV asked him if he wanted to write about Beck—an artist who followed a not-so-dissimilar lo-fi path in his early days (without the advantages of laptop recording and Bandcamp)—Toledo agreed. Here's Car Seat Headrest's Will Toledo with his perceptive take on "Five Essential Beck Songs" for FUV Essentials. This is one of the first Beck songs I can remember making a real impression on me. I’m talking here about the original demo version, which ended up as a bonus track on One Foot in the Grave, and was presumably recorded around that time. Somehow, the version of Sea Change I had on my computer had switched out the album version for this version, and it was one of my favorites. There’s an aching simplicity to this which the two-chord demo really captures—the actual album version disappointed me in its ornate fussiness—and a seriousness which is relatively rare in Beck’s oeuvre. It uses very little to say a lot. An obvious pick, but that doesn’t make it any less essential. This track does a remarkably good job at balancing the various strains Beck tends towards in his music: lo-fi folk, rock, dance, rap, and electronic sampling, among other things. Not bad for his first hit. Beck's music is often weird, but there’s also definitely a “weird Beck” subcategory—songs that come out of nowhere, bizarre experiments presented with insufficient explanation that confuse as much as they delight. All of Midnite Vultures is weird Beck at its best, but it reaches its peak with “Debra," a singularly funky track that combines the genuine passion of a Michael Jackson cut with the tongue-in-cheek social voyeurism of Ray Davies. In the hands of a lesser artist, it would come off as a joke—perhaps it is a joke still, but Beck kills it nevertheless. On the opposite end of the spectrum lies “Lonesome Tears," a tense and dramatic cut from Sea Change. The song features one of the best string arrangements I’ve ever heard—brooding in sinister fashion throughout, and swelling into a maelstrom in the track’s final minutes, climbing an impossible ladder laid out over a few simple chords. When Beck is serious, it’s intense stuff. But Beck is a rocker at heart, and tracks like “Devils Haircut” prove it. There are plenty of bangers in his catalogue as good as this track, but it’s a fine representative—a bone-simple riff stretched out and f**ked with over the course of three minutes, as Beck says cool-sounding stuff over it. It’s visceral and exciting, but it never goes quite where you expect it, which could be said for Beck’s entire career. Check out all of FUV's Five Essentials.